OXFORD, England (Thomson Reuters Foundation) – Meeting the goals of a new global agreement to tackle climate change will require social change on an almost unprecedented scale, said sustainable investment experts. That includes shifting trillions of dollars each year into renewable energy – up from $345 billion last year – and making everything from transport to agriculture and consumer products much greener very quickly. “This is about scale. It is about timing. It is about scope. We cannot move 500 companies and 200 investors in a few countries. We need to move everything,” said Mindy Lubber, president of Ceres, a U.S.-based business sustainability group. Failure to make big shifts fast would amount to putting our children and grandchildren in the path of a speeding bus, she told the Skoll World Forum on Social Entrepreneurship in Oxford this month. Some of that transformation is already underway, said David Blood, a senior partner at Generation Investment Management. Much of the clean energy technology needed is already available, and a surging divestment campaign is persuading investors that keeping money in fossil fuel companies is a growing financial risk. 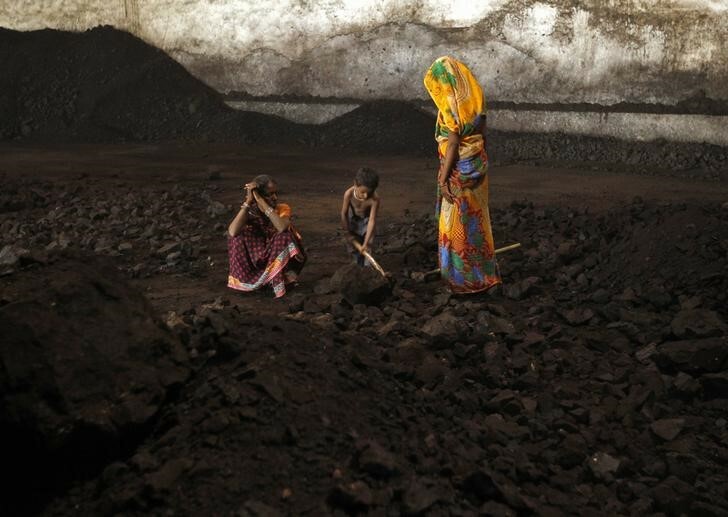 But while experts predicted the U.S. coal industry is on its way out of business, large-scale investment in coal – one of the biggest drivers of climate change – is still happening in parts of Africa and South Asia, particularly India. Reversing that by ensuring India and other countries have access to clean technology should be a priority for efforts to hold climate change to manageable levels, they said. “It’s in the interests of the whole world that India gets (to clean energy) faster,” said Mary Robinson, a former Irish president who runs a climate justice foundation. But large institutional investors are wary of risk and want clear returns, which can make them hesitant to invest in emerging economies like India, the experts said. Creating investment tools that work for both those with the cash and those that need it is crucial to drive money to the right places to address climate change, Lubber said. That must be done in a way that persuades investors who “don’t recognise the urgency of the problem”, said Blood, whose company is one of the world’s largest sustainable investment firms. If the investment picture has not changed hugely in four years, “we’re in significant trouble”, he predicted. The U.N.-brokered Paris climate agreement, backed by 195 countries in December, aims to hold the rise in global average temperatures to “well below” 2 degrees Celsius, with an aspirational limit of 1.5 degrees. To achieve that, the world needs to be emitting no more carbon pollution than can be absorbed by forests and other planetary systems in the second half of the century. The Paris deal “sends a signal to investors, sends a signal to consumers, sends a signal to everyone in the world… that fossil fuels have a very limited lifespan now”, said Thom Woodroofe, a climate policy advisor for Independent Diplomat. But switching away from dirty fuels will require some key changes to shift investment, experts said, among them putting a realistic price on carbon pollution and the damage it is causing – from worsening storms to agricultural losses. Setting a workable carbon price “is one of the single most important things” that needs to be done, Lubber said. Another is to shut down fossil fuel exploration, given that two-thirds of the reserves already discovered can never be burned under the new Paris agreement, the experts said. Former U.S. Vice President Al Gore, who spoke at the Oxford forum this week, put the value of unburnable fossil fuels at $22 trillion. Investment in fossil fuel exploration is already down over the last five years, from $650 billion a year to $400 billion, Lubber said. But some of that decline is the result of dramatically lower oil prices and companies are still seeking oil in places from the Arctic to Canada’s tar sands. Still, the fossil fuel divestment campaign “has forced the question of what is a profitable company”, Lubber said. “Five years ago you didn’t see analyst reports on the financial strength of the fossil fuel industry. Now there are hundreds of those. The debate has changed,” she added. Equally important will be helping many more people understand that climate change is something that needs action at home, in politics and on the streets, experts said. When 400,000 people marched to call for stronger policies on climate change in New York last September, with thousands more on the streets of other cities, “it changed the debate, it changed the news media. We need to see that times a thousand around the world,” Lubber said.